After passing a mountainous pile of e-waste crawling with children collecting electronic scraps, Dhairya Dand, a researcher from Singapore, came up with an idea to deal with both problems. The ever-growing piles of e-waste, and the kids who scavenge them instead of going to school. Based on the Arduino platform, Dhairya created a series of four incredibly simple educational toys that could be operated using discarded electronics like keyboards, mice, and even monitors. 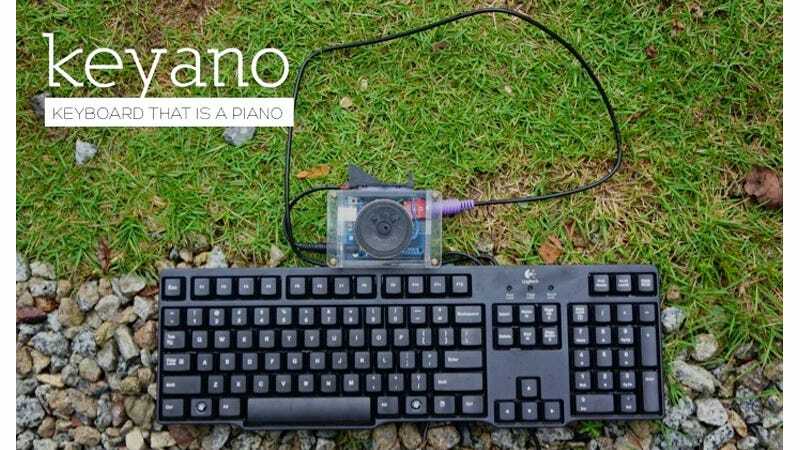 The ThinkerToys, as they're cleverly called, includes the Keyano which turns a PS2 keyboard into an electronic grand piano with unique sounds mapped to every key. And the RandoMath, a basic LED display that also connects to an old keyboard providing simple math puzzles that teach and entertain.